Hidden gears maintain correct hour and minute relationships as you demonstrate time-telling concepts. Color-coding supports student understanding and durable, geared clock hands are designed to last! 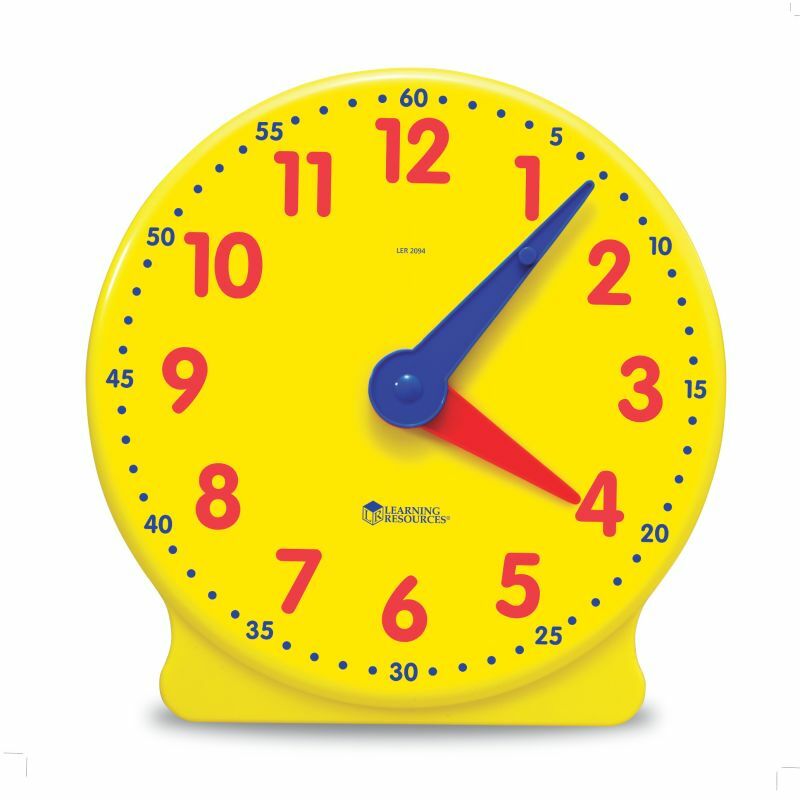 Plastic Demonstration Clock measures 13¼”H with easy-to-read hour(red) and minute (blue) markings, removable stand, and Activity Guide.